The development works gave the opportunity for the discovery of some of the most extensive and important archaeological investigations in Oxford for several decades. Time and funding were provided to allow full archaeological excavations, which have added considerably to the knowledge of the history of the city. Part of the Saxon town wall was discovered and has been retained as one of the features of the development. The investigations added to the body of knowledge of the history of the site and the city. Tell the story of the development of the Castle and Prison site as a whole, from its earliest beginnings through to the present day. Interpret all the heritage assets on the site, including those within the wider commercial scheme. Allow the buildings and the archaeology to tell the story; "let the stones speak". Use the stories of people from the past and present who have had contact with the site to tell its story. Interpret the site's recent development as the latest chapter in its history. Recognise that the present and future of the site represent chapters in its history and that its story will continue to unfold. 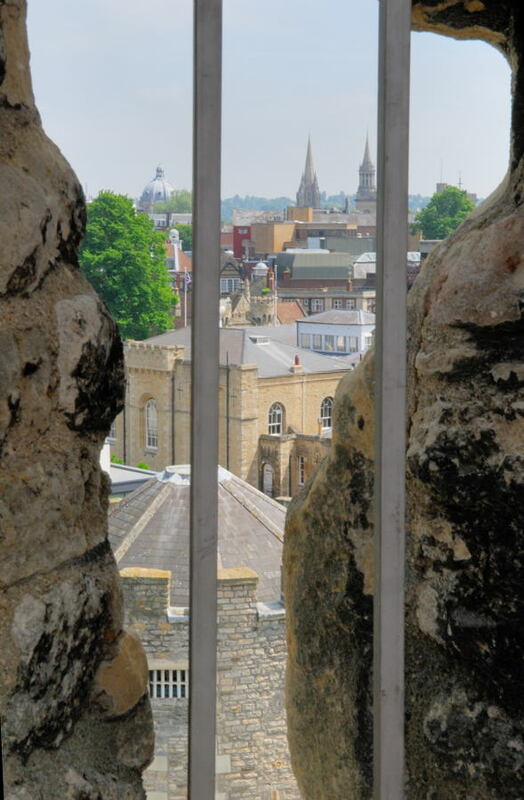 Relate the story of the Oxford Castle/Prison site to the development of the wider City of Oxford and the County of Oxfordshire and its links to the history of the nation. Adopt a variety of approaches in interpreting the site, appropriate to the diversity of potential users, their needs and interests. Create a degree of flexibility in the interpretation, allowing for future change in response to users' needs. Plans for the redevelopment of Oxford Castle were drawn-up under a partnership agreement between Oxfordshire County Council and Oxford Castle Ltd. For five years, a team of selected architects worked together with archaeologists, historians, landscape architects and conservation specialists to create the sustainable development plans for the site. These plans demonstrate how sensitive and creative planning can enable historic structures and buildings to retain their integrity, keeping as much of the original fabric as possible, whilst allowing new and innovative new uses to be introduced. Use of lime mortar and mortar based plaster. Oxford is known for its innovative approach to transport and cars and a sustainable approach to transport was adopted. There is limited car parking on site (a single 20-space underground car park exists for use by the hotel), over 150 cycle parking spaces were provided, together with excellent public transport links, so that both Park & Ride and bus services are available at the entrance to the site.